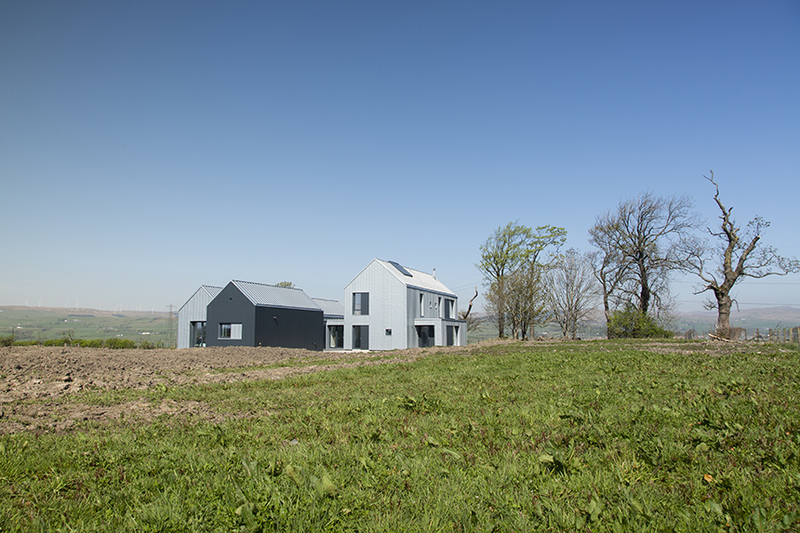 The new house is located within North Ayrshire, an equal distance between Dalry and Beith, within the Garnock Valley. The site is a plateau at the top of a slight incline and raised from the surrounding agricultural fields. 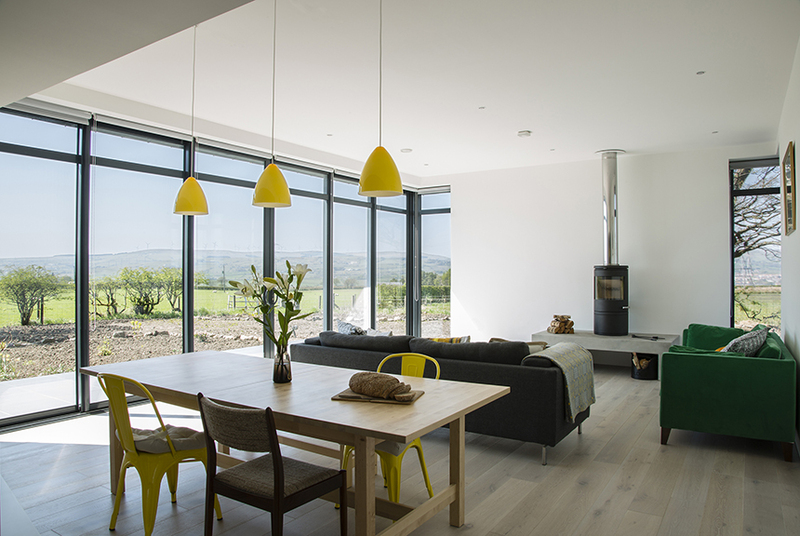 This elevated position gives the building wonderful views over the North Ayrshire Landscape, however it has little natural shelter and is very exposed to the elements. Strong South-Westerly winds can make being outdoors on the site quite uncomfortable. 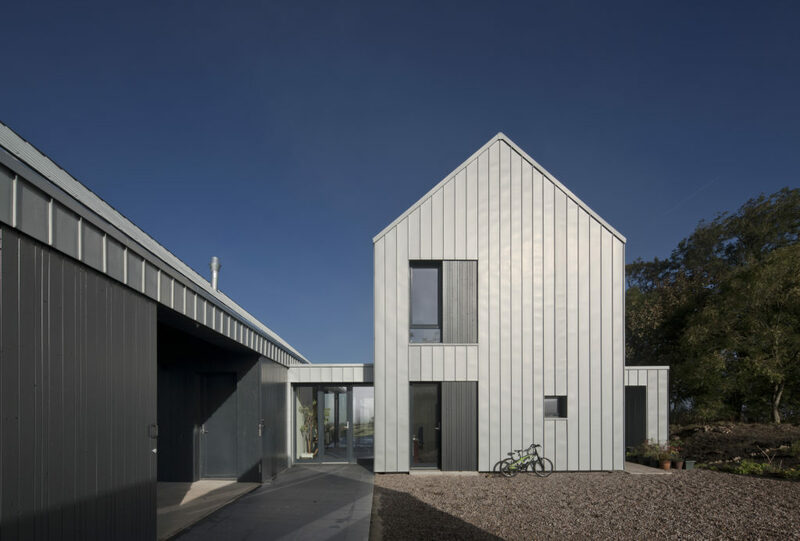 In response to the site and conditions, the functions of the house are contained within a cluster of building forms, which draw on the traditional groupings of agricultural farm buildings and steadings in the surrounding North Ayrshire Landscape. A two storey element, a one storey linear element and an outbuilding form a cluster around a three sided courtyard. The buildings draw on the form and proportions of traditional rural North Ayrshire Architecture. As with traditional local buildings and agricultural buildings, the roofs on the proposed house are symmetrical with a traditional pitch on all the main parts of the building. 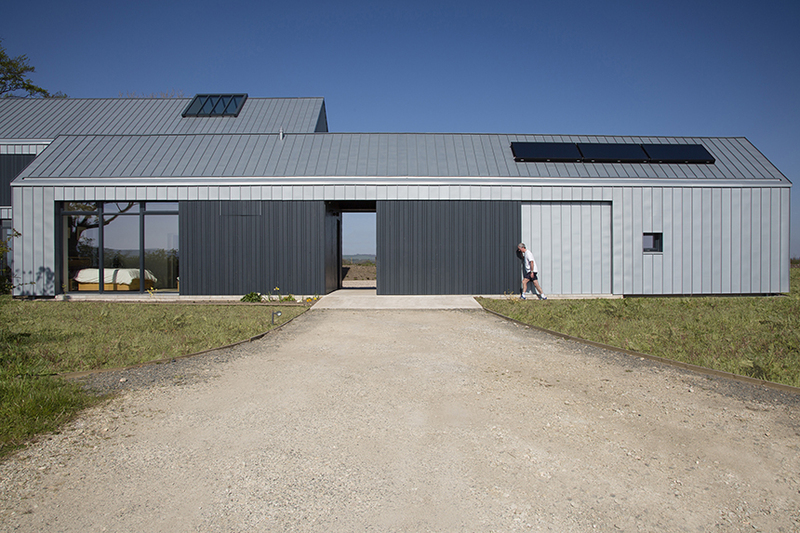 The roofs and walls of the building are clad in zinc. 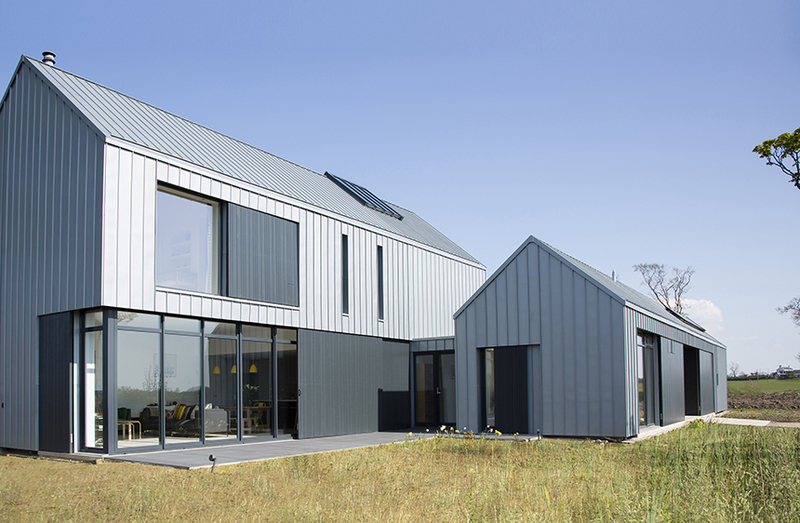 This material choice provides a contemporary, quality exterior that references the local rural agricultural buildings. The choice of material also draws on North Ayrshire’s tradition of industry and agriculture working harmoniously in the landscape and looks at referencing the steel and iron foundry’s, which were once located in the Garnock Valley. The proposed building is approached via the existing access, which continues through the building into the internal protected courtyard. The pend creates a pause space between the wider landscape and the intimate internal courtyard. 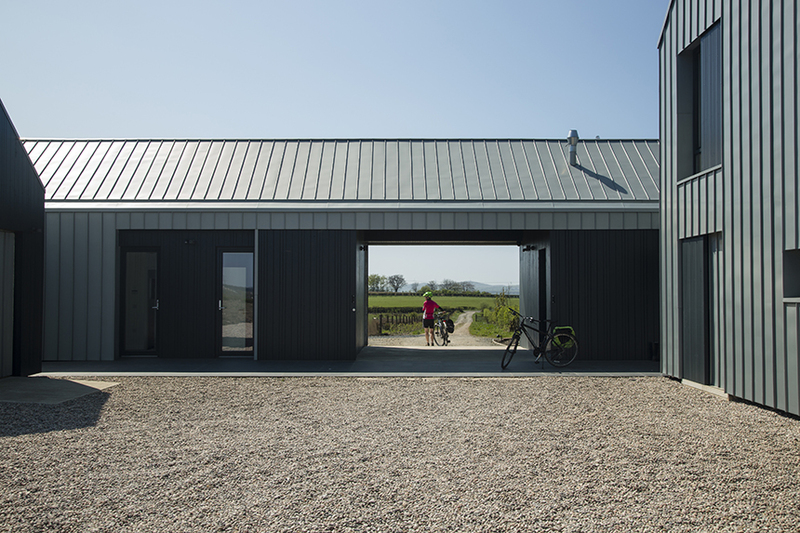 The large barn doors can be closed to provide both privacy and security as well as a small micro climate via an indoor/outdoor space, which extends the seasonal use of the courtyard and provides a sheltered outdoor space even in the most severe weather. From the internal courtyard; the main house, the single storey building and outbuilding can be accessed and activity can spill out into this space. The courtyard receives morning and afternoon light while being protected from the severe winds, whilst offering external space for social and utilitarian functions. The buildings are connected by a route that runs from the north to the south, flowing through and connecting both the south/west courtyard, the internal courtyard, the outbuilding and orchard. 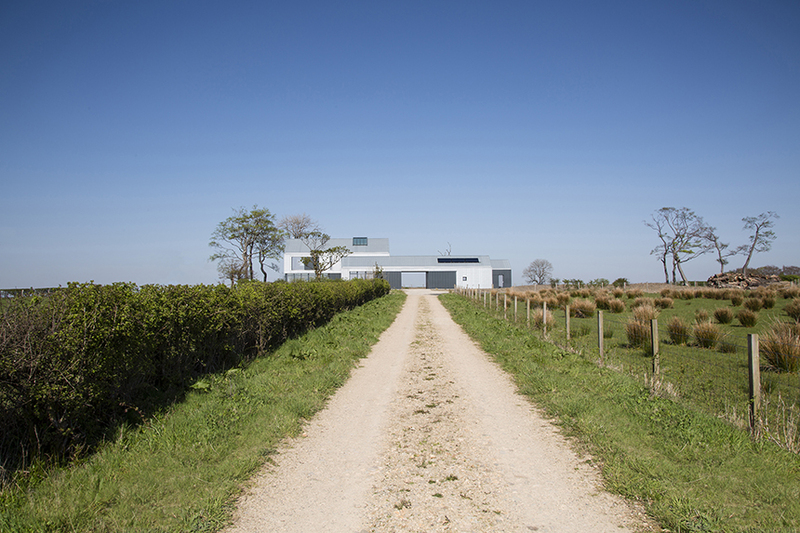 At each stage framing a view of the North Ayrshire landscape and creating a series of intimate relationships with internal and external views and spaces. This was one of the first Single Houses in the Countryside to gain planning permission under the new North Ayrshire Planning guidelines.